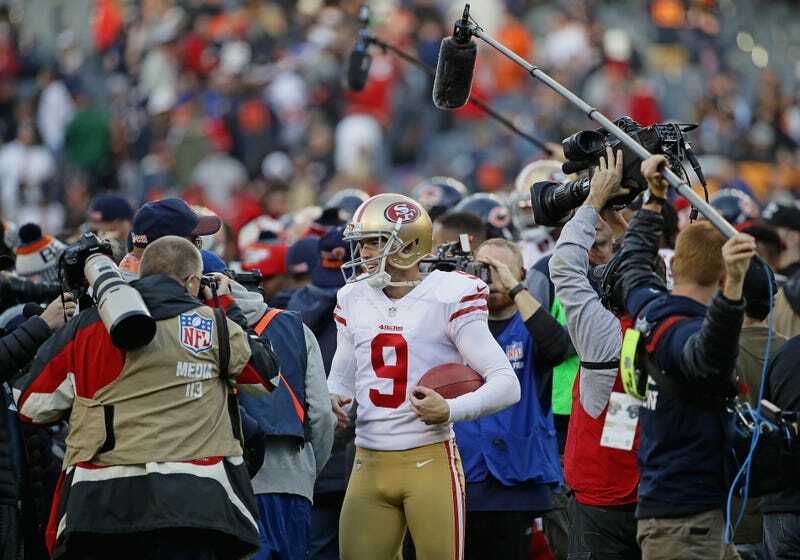 Bears fans might be having a rough Monday after Cody Parkey’s double-doink kept them from advancing in the playoffs, but this may provide some solace: The best kicker in the history of their franchise was in the stands watching. Wait, that isn’t comforting at all. Neither is the fact that after the team cut Gould in the 2016 preseason to save money, he took his period of unemployment to re-evaluate and improve his technique, and has made 82 of 85 field goals in the three seasons since. 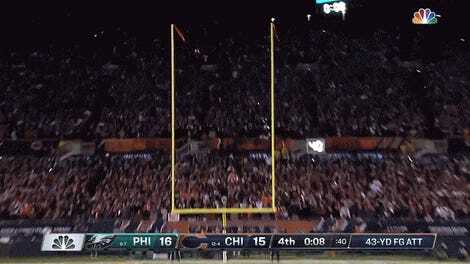 (He made 33 of 39 field goals and missed one extra point in his final season with the Bears.) In 2017, he scored every point for the 49ers in their 15-14 victory over Chicago and yelled at his former team’s sideline. As for the Bears? They’ve used four kickers since cutting Gould, none of them as good. Before Parkey was regularly nailing the uprights without trying, the Bears used Cairo Santos, Connor Barth, and Mike Nugent. And now their 12-4 regular-season record means nothing, because they’re out of the playoffs. Maybe they can take consolation in this: Gould’s a free agent this offseason.